Darke County Center for the Arts (DCCA) has been selected to receive funding from Arts Midwest Touring Fund, a program of Arts Midwest, generously supported by the National Endowment for the Arts with additional contributions from the Ohio Arts Council and the Crane Group. Arts Midwest Touring Fund engages people in meaningful experiences with the fine arts of dance, music, theater, and other performing arts forms. Inter-state touring and the engagement of professional artists is central to the work of Arts Midwest. Terrance Simien and the Zydeco Experience Band will perform "Creole For Kidz" for fourth through sixth grade students at all local public schools from October 23 through October 27; these performances are free and open to the public. “Without the assistance of Arts Midwest, DCCA could not bring internationally-acclaimed artists like Terrance Simien to our underserved rural community,” Ms. Jordan explained. “DCCA greatly appreciates their commitment to enabling presentations that inspire creativity and joy, and help shape our nation’s culture in positive and affirming ways,” she concluded. 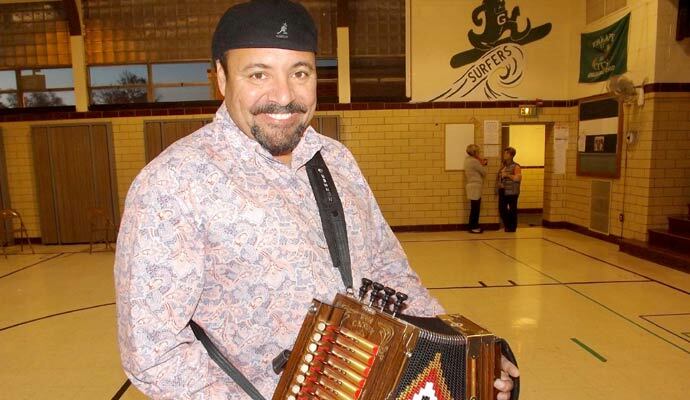 Terrance Simien and the Zydeco Experience Band will also perform at Greenville’s Bistro Off Broadway on Thursday, October 26 as part of DCCA's Coffeehouse Series, the show starts at 7 p.m. and tickets are $10. Based in Minneapolis, Arts Midwest is one of six nonprofit regional arts organizations in the United States. Its mission is to promote creativity, nurture cultural leadership, and engage people in meaningful arts experiences, bringing vitality to Midwest communities and enriching people’s lives. Since its establishment more than 30 years ago, Arts Midwest has been serving audiences, arts organizations, and artists throughout the nine states of Illinois, Indiana, Iowa, Michigan, Minnesota, North Dakota, Ohio, South Dakota, Wisconsin, and beyond. For more information on Arts Midwest please visit www.artsmidwest.org. The National Endowment for the Arts is a public agency dedicated to supporting excellence in the arts, both new and established; bringing the arts to all Americans; and providing leadership in arts education. Established by Congress in 1965 as an independent agency of the federal government, the Endowment is the nation’s largest annual funder of the arts, bringing great art to all 50 states, including rural areas, inner cities, and military bases. Darke County Center for the Arts presents and promotes performing and fine arts encouraging cultural enrichment. For more information on their 2017-2018 ARTS COUNT season and to purchase tickets, contact the DCCA Office at (937) 547-0908 or visit their website at www.CenterForArts.net.